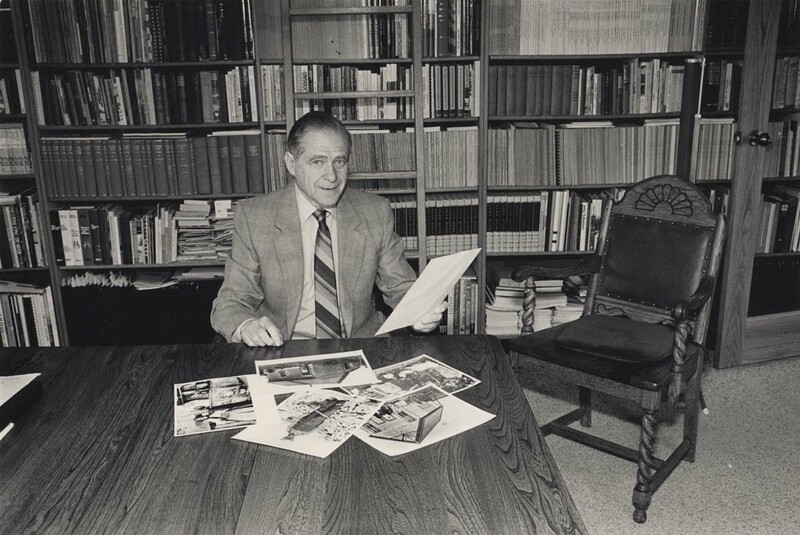 Photograph depicts Cyril Leonoff looking at pictures in his library. Written on the verso: "Reduce entire pix to 3 cols x 4 1/4. 1/2 col. Nov. 22/90 185%. June 23/88. 170%. Cyril Leonoff "In his library". Photo by Ronnie Tessler. May 19, 1988."